On September 4-7, 2018, Wu Liangyou, Director of the Department of Chronic Diseases of the National Health and Health Commission, Ma Lili, Medical Specialist of the Department of Disease Control, National Health and Health Commission, and Gao Chunpeng, Medical Specialist of the National Health and Discipline Inspection Commission Leaders and medical experts and other experts conducted a second batch of national review of the comprehensive prevention and control demonstration area for chronic diseases in Guangdong Province. 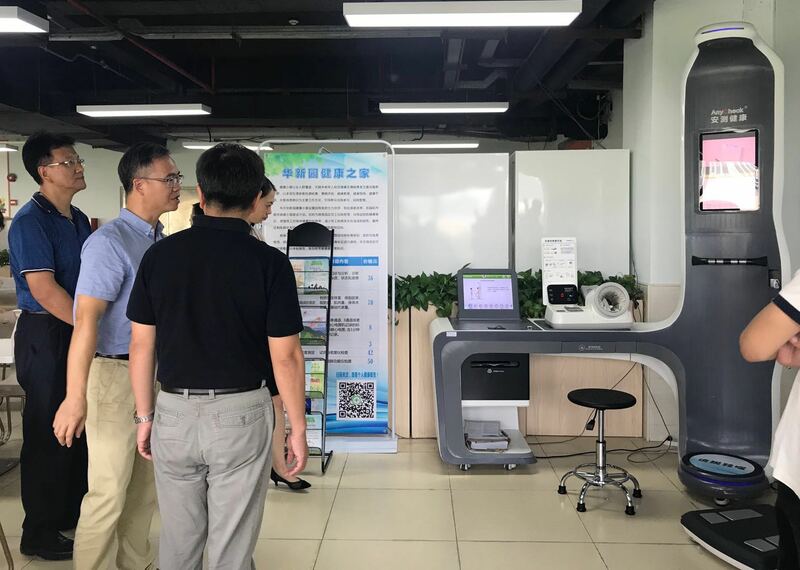 They inspected the E-Techco (Qianhai AnyCheck) sample site Shenzhen Bay Social Health Center and Guangzhou Anzhen Health Lodge. 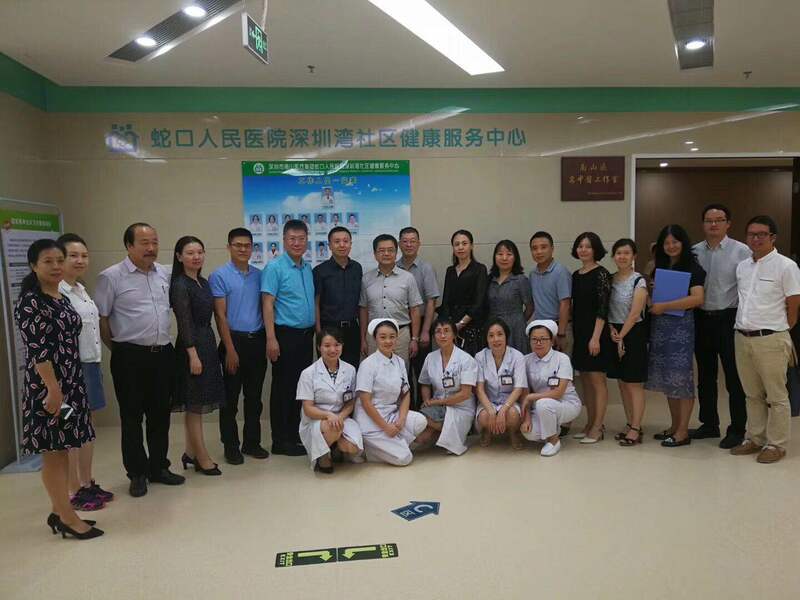 On September 4, Director Wu Liang and his entourage first visited the Shenzhen Bay Social Welfare Center.Director Wu Liang and his entourage learned about the overall environment and functional layout of the Shenzhen Bay Social Health Center, the structure of the social health medical staff, the general medical treatment and the management of chronic diseases, and experienced E-Techco in the course of the visit. The AI medical equipment such as the health and fitness integrated machine, the safety and health Chinese medicine constitution identification instrument, and the traditional Chinese medicine four diagnostic apparatus are used, and the feelings of the people are kindly communicated with the audience. First, we must actively carry out all-people education on chronic diseases and improve the health quality of the entire population. Encourage E-Techco (Qianhai AnyCheck) to organize and organize daily medical treatments, lectures, publicity columns, disseminate publicity materials, and carry out chronic disease self-management group activities to educate and guide residents to establish a correct concept of health and encourage people to take health care. Behavior and lifestyle, reducing the risk of disease development in high-risk groups. Second, it is necessary to standardize and multi-faceted health management for the slow patient population. E-Techco (Qianhai AnyCheck) is required to carry out regular physical examination activities to provide blood pressure, blood sugar and blood lipids for residents, and to analyze the health data of the medical examination population to screen out the patient population, suspicious population and healthy population. The population is given different health management, guidance and long-term monitoring, so that community residents can enjoy professional precision chronic disease management services. Third, we must increase scientific research efforts and promote the transformation of results and the application of technology. Hope that E-Techco (Qianhai AnyCheck) integrates chronic disease management through AI technology, provides new ideas for the management of chronic disease health, and opens up the online and offline environment of chronic disease management, forming a complete closed loop of cardiovascular chronic disease management, improving the efficacy rate and improving the diagnosis rate. The treatment effect, lower the cost of medical care, and promote the improvement of the prevention and treatment of chronic disease in the chronic disease center and even the national disease control system, so that more people can benefit. On September 7, Director Wu Liangyou and his party visited the E-Techco (Qianhai AnyCheck) “Healthy Cabin” again. 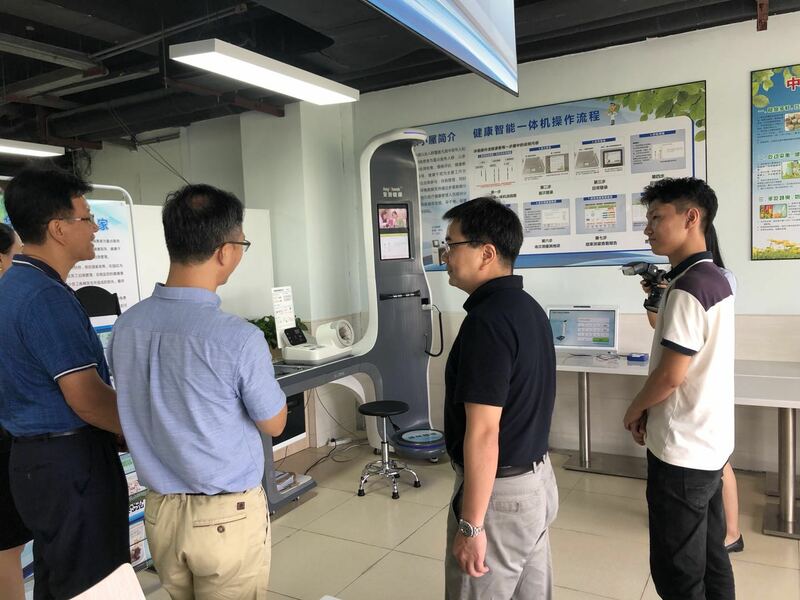 Relevant leaders and medical experts from Guangzhou and Huangpu District, and Liu Xiaolan, Sales Director of E-Tech Group Guangzhou Branch, and the elite team of the channel, market and technical departments accompanied the investigation. Director Liu Xiaolan introduced to Director Wu Liangyou and his entourage: AnyCheck Health House integrates health checkup, health management and health consultation, and mainly monitors the health indicators outside the hospital after the inspection, discharge and post-discipline. Disease management work, through the health monitoring, health education, screening of the slow patient group, residents can really measure blood pressure, blood sugar, ECG, stress, sleep and other health indicators at home, or get the doctors provided by the big hospital. Online health assessment and health guidance. AnyCheck Health Cabin has health education display module, health book reading module, diet health guidance module, health consultation service module, community environment air detection module, daily health product shopping module, telemedicine consultation module, home health inspection service module, Make the health check-up process more convenient and efficient, and the people's voluntary participation is stronger. 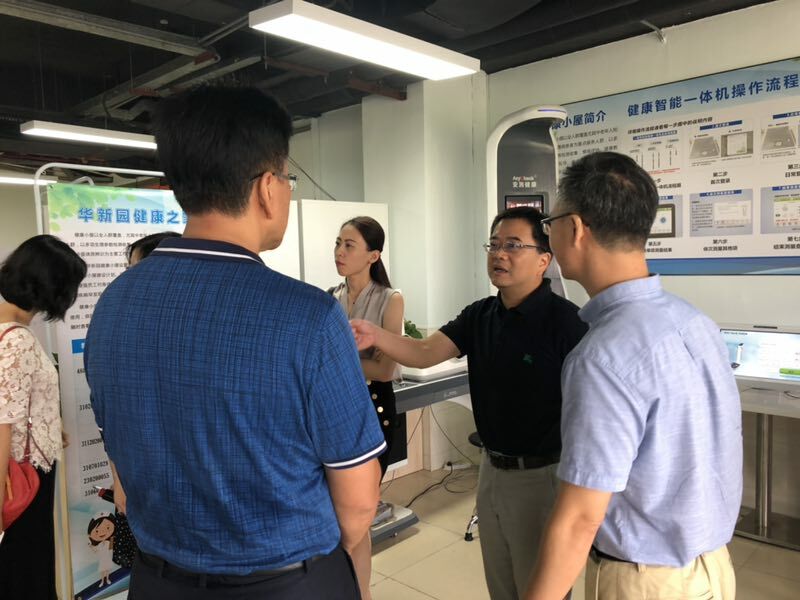 After understanding the overall situation of the AnyCheck Health Cabin, Wu Liangyou and his entourage expressed his high recognition for E-Techco (Qianhai AnyCheck)’s efforts to improve the health of the community residents over the years, and gave guidance on the social welfare work. Suggest. Director Wu Liangyou emphasized that the Healthy Hut Huimin Project is a healthy and convenient project for the people. It can sink the resources of large hospitals into community hospitals, reverse the imbalance of resources, and let the masses regain confidence and ease the community hospitals. The problem of expensive medical treatment is also the goal of the AnyCheck Health Cabin project. In the future practice, AnyCheck Health Bar should focus on strengthening the connotation construction, providing high-quality health check-up services for the people, meeting the people's requirements for sustainable health, and being good at using existing health and other society. Resources, as much as possible to provide the people with a comprehensive and continuous health management services, to achieve the goal of improving the overall health of the people and reducing the overall medical expenses of individuals and countries. 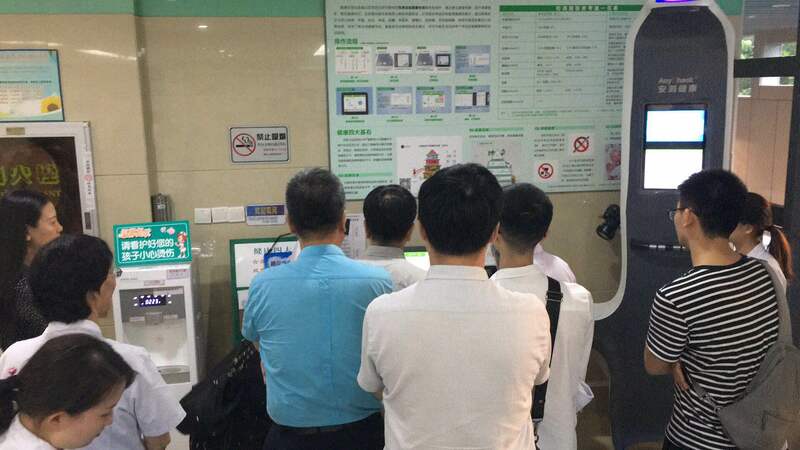 After two inspections by the National Health and Family Planning Commission in Shenzhen and Guangzhou, E-Techco (Qianhai AnyCheck) firmly provide more intimate service! In the actual work in the future, AnyCheck Health Lodge will continue to enrich service content, innovate service initiatives, improve the construction of facilities and talents, and bring more considerate health management services to the people.